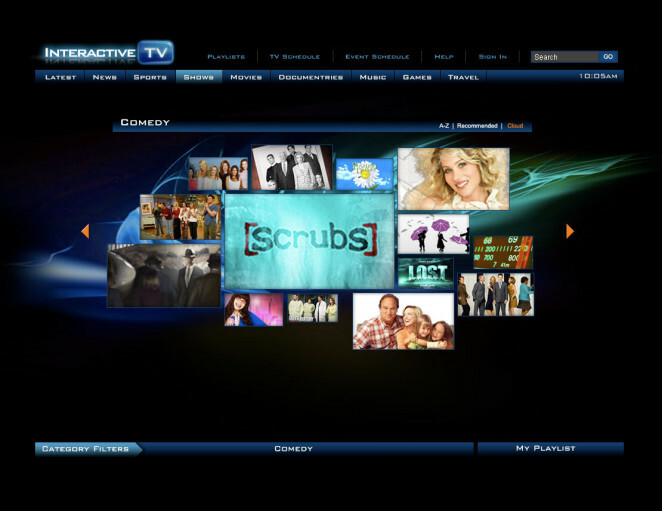 Interactive TV interface for live streaming and VOD. 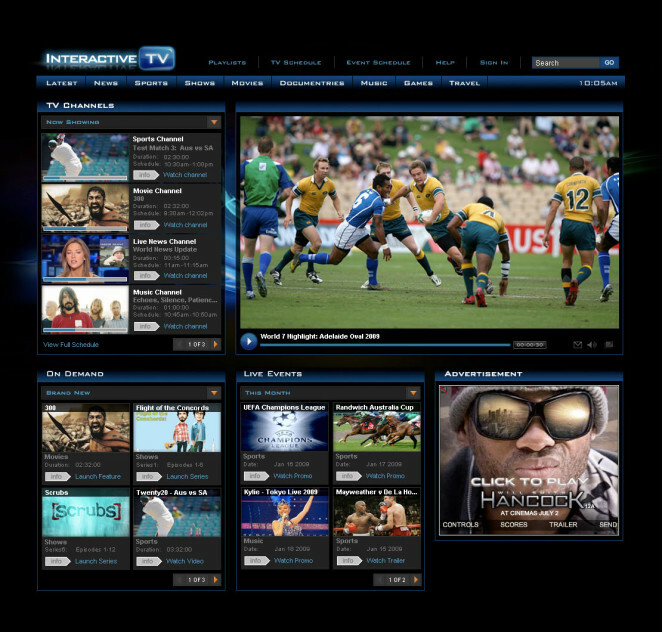 Design, development, integration and testing. 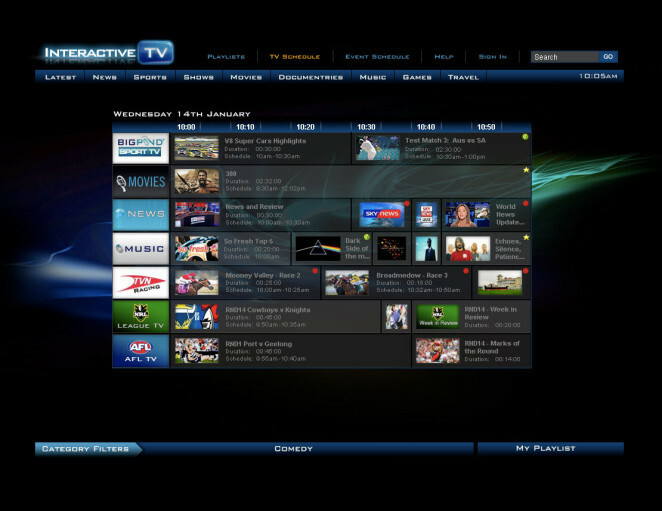 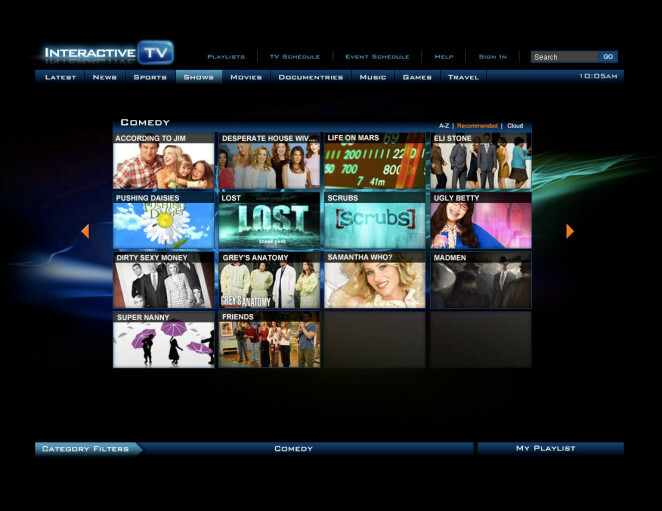 Interactive TV (IPTV) interface for live streaming and VOD. 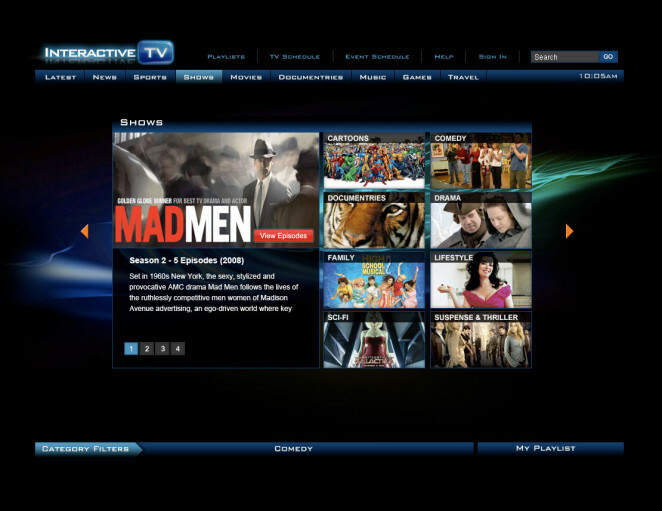 EPG integration, recommended content, advertising and playlisting.